Slice banana lengthwise and open up the center. Place in a rectangle of aluminum foil. Insert chosen ingredients into the opening of the banana. 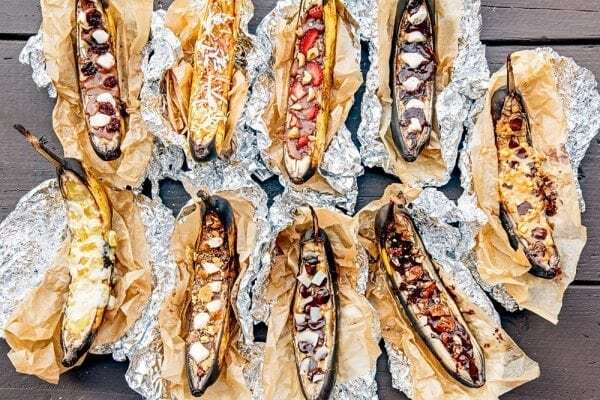 Wrap the banana lightly in foil and grill for 8-10 minutes. Unwrap banana and enjoy after it has slightly cooled. 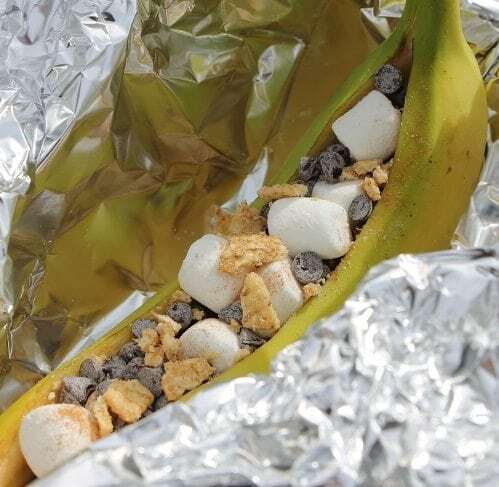 Keep peel on banana; slice lengthwise twice, lift up flap of peel, slice banana and add chocolate and marshmallows as above. 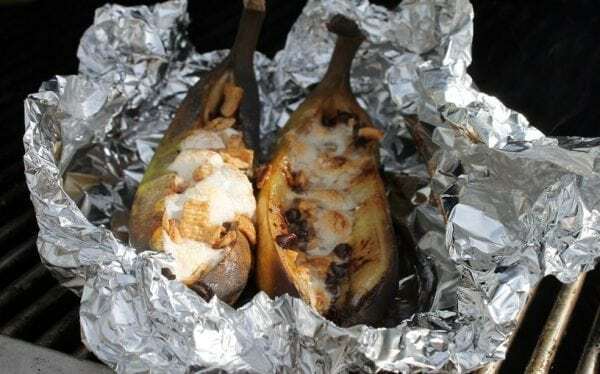 Replace peel flap and wrap banana with foil. Let the flames die down before adding banana packets directly to fire. Cook 5-7 minutes, or just until soft and melty. Use tongs to remove from fire. Carefully unwrap and unpeel banana to eat.